This can be anything done to correct imperfections in the appearance of your mouth. Anyone who is unhappy with their smile can have it fixed. The upper teeth usually show only when smiling, while the lower teeth remain hidden. This is reversed when talking, with the upper teeth remaining hidden while the lower teeth show. The color, alignment, spacing as well as regularity of the teeth are the characteristics that give the overall appearance. Any of these can be repaired to give a stunning look to your mouth. We offer a wide variety of cosmetic options including whitening, smile design, recontouring of the shape of the teeth, veneers, bonding, and all ceramic/porcelain crowns. We offer a convient take home whitening system. 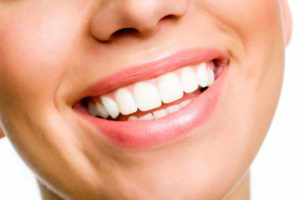 The appointment to take the impressions is short and you will have your trays for touch up whenever you feel the need. Veneers are thin porcelain restorations that are bonded to your teeth, much like a false nail. These can change the shape, size, and color of your teeth to create that perfect smile. These restorations are beautiful and look extremely life-like. Only you and your dentist will know they are there.